Great service and very clean facility. Very professional. Outstanding service. Friendly and professional. Very nice storage units. Have had one for the last 5 years and no problem. The people are very understanding in the office and will help you. Will continue to recommend! Owner is very nice. Lovely couple. Rented there for few months. 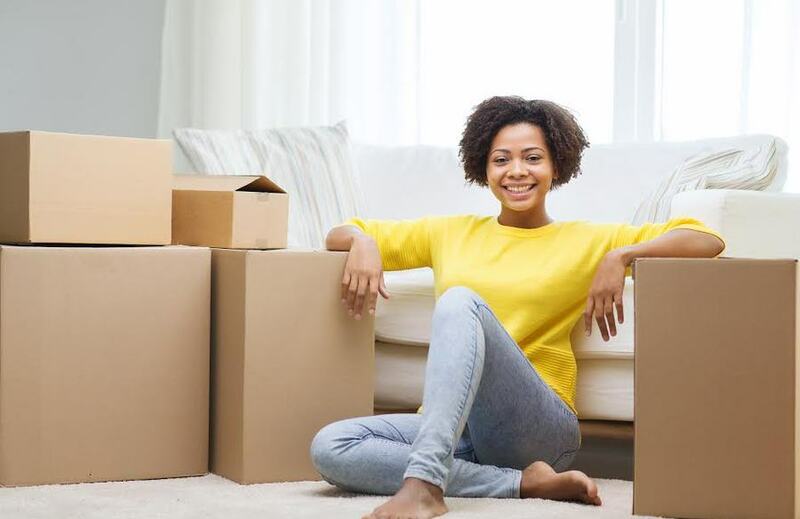 As a first time storage renter, David and Beth made the process very easy. They both are very welcoming and work hard to provide excellent service. David made sure that I picked the right unit for me and did not pressure me into anything unnecessary. Would definitely recommend their business to any friends and family in need! Awesome customer service. 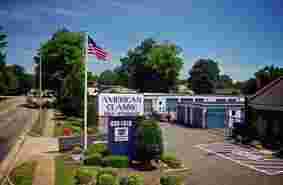 I would highly recommend American Classic Self Storage! Veronica is, by far, one of the nicest people I have met in a long time. Most affordable storage and clean! The customer service was on point and very friendly. I love the fact that there right on the premises and can watch everything that goes on. A+ in my book. I have known this company for many years and I would recommend them to anybody. 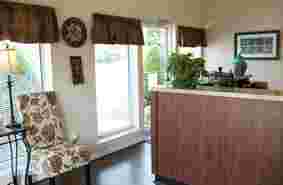 There prices are reasonable for the units that they have. Other companies charge a arm and a leg. 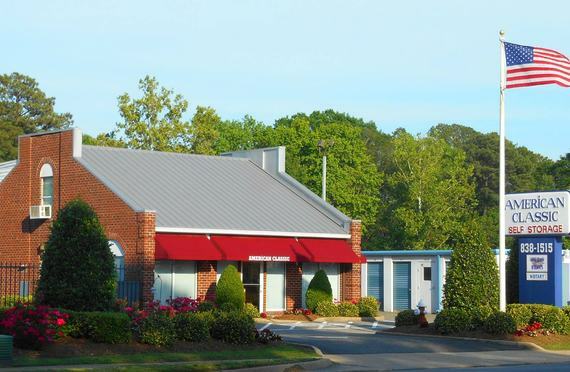 We have used this storage facility and the staff was very friendly, helpful, and accommodating. Facilities were reasonably priced and we'll guarded. I used American classic a few years back and had great customer service and just this week had to get a unit temporarily. To my surprise American Classic is under new ownership and the new owners are fantastic. Literally some of the best customer service I've ever had. Also great move in deals and military friendly. I highly recommend this storage facility to anyone need short to long term storage. The management is very friendly and goes out of their way to be helpful and look out for potential clients and clients. Thank you guys. I've used their storage multiple times. Great service! Outstanding customer service and well- maintained facilities. Make this your first choice for your storage needs. Managers real helpful with a positive attitude, clean safe and secure . would not go any where else. "The managers are always very friendly and professional. Being a military family, we have stored items in a lot of different places across the country, but this the cleanest and most accommodating -- by far. We'll continue to recommend you to your friends." Landscape is excellent. Managers are attentive to detail. Warm and Welcoming. Giving and knowledgeable. Only place I will refer co-workers in Hampton Roads. Excellent and very professional! I reserved our unit in advance and it made our cross country move so much easier. We chose American Classic specifically because of the facility manager and her help and professionalism. From the moment i walked in the door i felt at home. My experience with CC and Branch was most enjoyable. The facility was pristine, the atmosphere was welcoming and the customer service received was beyond exceptional, it was as if, I, was a part of the family. I am sold on American Classic Self Storage on Big Bethel Rd hereafter. 5 Star Kudos... thanx for everything!!! American Classic Storage in Hampton, VA is located on Big Bethel Road in Hampton. We are Virginia’s finest and cleanest storage facility. Professional and courteous managers are waiting to assist you with first class customer service! We are interested in helping you with your self-storage solutions. We have a large assortment of unit sizes to meet your storage needs and your budget. Our smallest unit is a 5x5, and we have large units for your commercial inventory, or vehicles. We have been in business over 28 years, and enjoy our local Hampton Roads Community. Climate-controlled units are available for your temperature-sensitive goods, and we offer a variety of solutions for vehicle storage. We do have moving and packing supplies available at 906 Big Bethel Road, Hampton, VA. We are a ground level business with drive up access. We are your one-stop-shop for self-storage. We would love to meet you in person, so stop by for a tour today! Conveniently located - at the corner of Todd’s Ln and Big Bethel Rd, right next to Long John Silver’s and 7-11. American Classic Storage is locally owned and operated. We have 10 other satellite locations in the Tidewater area, and are located near Hampton University, and Newport News, VA. We have limited outdoor parking, and support our military and armed forces. We can assist you with your storage needs at bethel@americanclassicstorage.com. Please do not hesitate to call or email. We enjoy your business.